What happens when you give a box of legos to two teenagers who knows nothing about programming? A castle? A house? No! 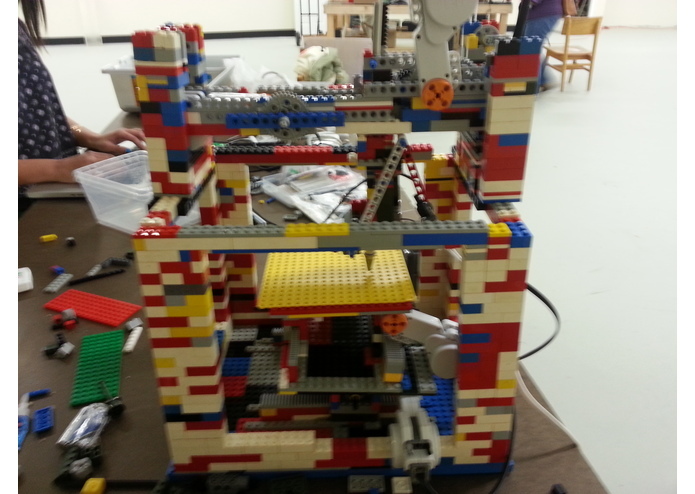 We came to a consensus that we wanted to make a 3D printer completely out of legos. Why legos? 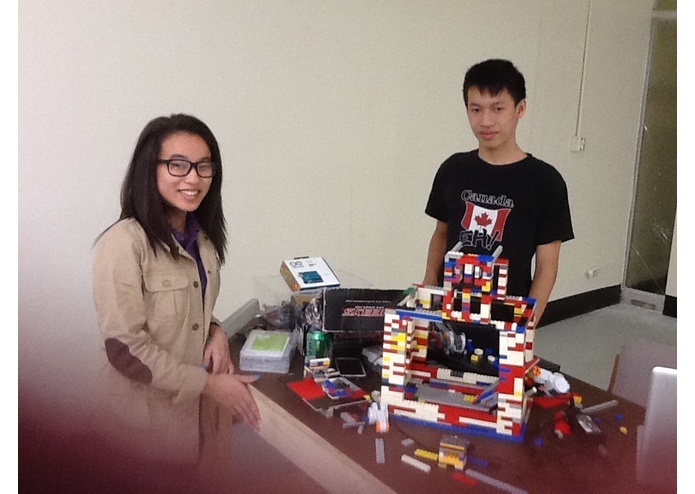 There are no age limit to legos and legos can be used to build all the mini structures you can imagine. Our goal is to inspire people of all ages to challenge themselves, to step out of their comfort zone, and to try new things. 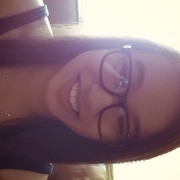 Especially to the younger audience that it's possible to meet your goal "starting from the bottom to the top." In this case, applying the concept of 3D printing to legos. We wanted to entertain the idea of cheaper 3D printers. Our perception of the future is that everyone would have 3D printers and the word "convenience" will be bought to another level. 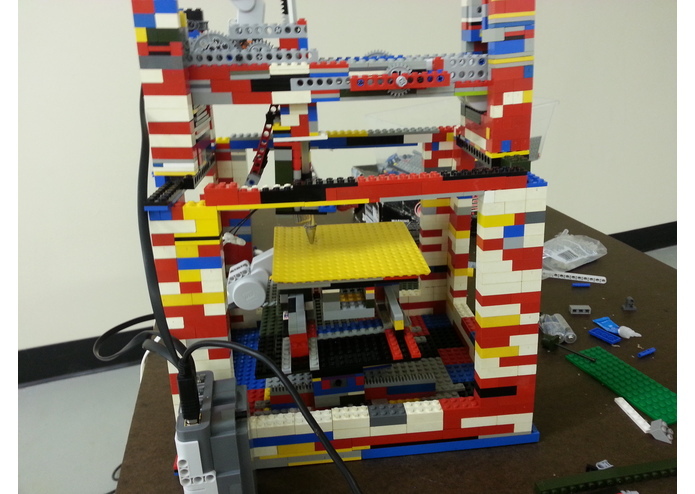 Thus far, the Lego 3D printer is only printing out hot glue. At the bottom, there are two motors. The motors controls the y-axis and x-axis. 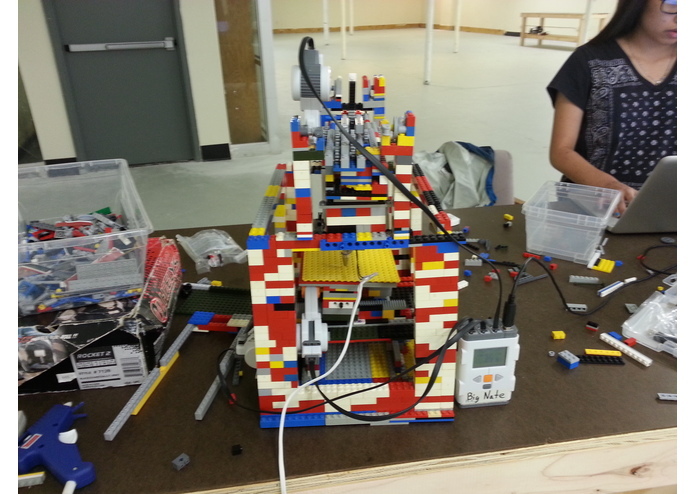 At the top, there is a motor controlling the gears to move the z-axis. The main function of the motor at the top is to wind strings and lift the platform that holds the dissembled hot glue gun. 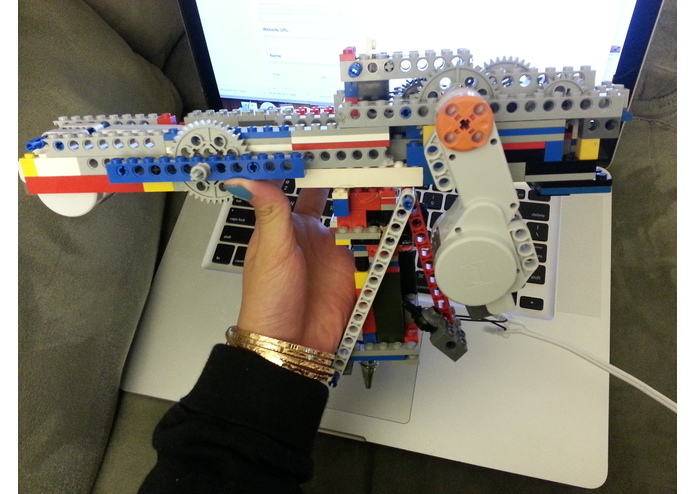 Every movement is manually programmed using the lego mindstrom nxt. Improvements and revisions are needed to be made, we will work on the extruder, the z-axis and possibly brainstorm a new way to program.